When the cold season arrives, many look forward to that little time to relax in a spa or a hot tub. But like all bodies of water, there are procedures that a spa owner must know. If you happen to be in an area where it snows, then you need your winter gloves. It’s essential that the lid or cover is in excellent condition. Sweep the snow or ice before you open your hot tub. You don’t want to have anything falling into the water, splash and getting the corners wet enough to freeze, especially around your hands. An exit plan is not the same leaving a hot tub in the summer than in the winter time. So, before you go into Hot Tub Haven, plan the time that you will be in it. Having a bathrobe within your reach is convenient. The same goes for having slippers or rubber shoes to protect your feet from the cold. If you happen to be in the tub with more people, plan so they can have those items within reach. Also, be careful walking to and from the spa or hot tub if there is ice on the surface. A good pair of shoes or slippers with tread are excellent. It is imperative to have good shoes, especially if you are doing a quick walk across the yard to get into your home. Lastly, you don’t want your skin to freeze onto the metal, right? Then, make sure that your hands are dry. No matter what season it is, if you’re going to use your spa or hot tub, the water temperature should not exceed 104°F. Your body sweats; therefore, it cannot adjust the temperature while it is in water. You can suffer from heat stroke, light-headed or become drowsy, which can cause drowning if the temperature is at its highest. Another reason that the water may be too high is the cold weather itself. Since the head and shoulders stay exposed to cold air, it may confuse the internal temperature. So, be conservative and keep it up to 100°F and no more. However, many recommend a winter hat or a cold weather cap. Sounds strange, but it helps to regulate the body temperature. Don’t spend more than 15 minutes in the tub. 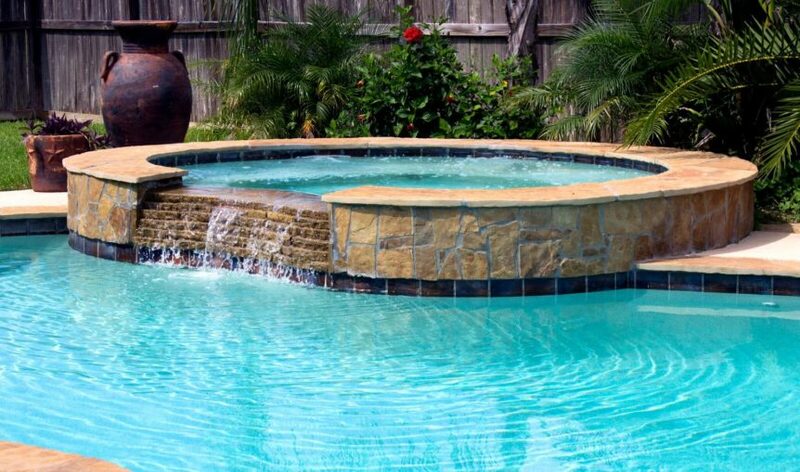 Also, keep the pool thermometer available for a more accurate temperature on your spa or hot tub. The hot tub thermostat will give you a temperature read, but it’s the water that matters.